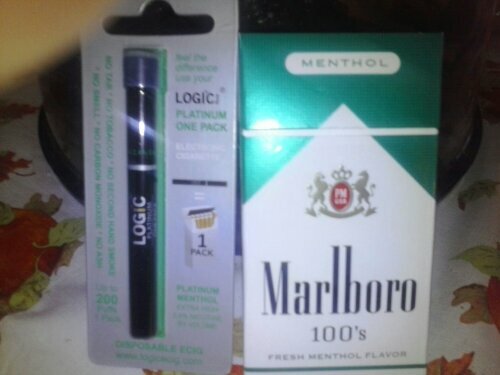 The New Trend, Electronic Cigarettes in 2013. New Year resolutions were set in motion months ago, January 1st was the starting point, and sadly, it was also the end to those well thought resolutions. For those who cannot stop, or are trying very hard, the new trend are the electronic cigarettes. Now these cute, marvelous, gadget, that promise to be better or close enough to the real thing, are popping up everywhere. Pros: No more tar, (yellow teeth). No smelly or burned clothes. Able to smoke every where. These electronic cigarettes come in different flavors from the standard regular tobacco to menthol, java flavor to all the fruity flavors as well. The nicotine amount ranges from 0% to as high as 4.5%. Finding your favorite is your new goal. Cons: Initial cost can be high, if you are buying the rechargeable kits. The taste requires, getting use to it. Some are just awful. They taste like wet cardboard. Disposable kind are running about the same or more on cost. The promise of lasting about the same or equivalent to a full pack of cigarettes is NOT TRUE! They do not take the craving or the edge off. I have come close to the one I like best, but the expense would cost me more than my old reliable. I guess the key would be to stop all together which is my goal. So my personal search continues on. For my new year resolution is going all electronic even on the occasional smoke (husband not ready yet). Trend, Electronic Cigarettes in 2013. | The Poor American <Loved it!